Contemplative Homeschool | Faith-based education. Carmelite spirituality. Russian Orthodox ikon (photo credit: Wikimedia Commons). Looking back on my childhood, I find a disconnect between my Catholic schooling and our family’s home life. So many of the traditional Catholic practices that we learned in school were kept at school. We had different spiritual practices at home. My parents were active in the Catholic Charismatic Renewal. Rather than my combining these two influences for a rich, adult spirituality, I left many of the more traditional practices behind at graduation. One of these was frequent Confession. In school we went to Confession monthly. There was thus little need to go as a family. So as a young adult I went during Advent and Lent only. Since the Church only requires yearly Confession—and even then only for mortal sins—going biennially might seem sufficient. But reception of the Eucharist is only required once a year too, and I certainly wouldn’t stop at once or twice. 1. It reminds me I am a sinner. Frequent Confession shows me my sinful habits. Since I confess the same type of sin over and over, I know what I need to work on most. I realize I am far from being a saint. 2. I receive grace for future temptations. Often the first few days after I go to Confession, I sail through temptations unscathed. My heart is at peace. I find it easier to be loving. 4. The penance performed as part of the sacrament helps to make up for the hurt I have caused myself, others, and the Church. I can confess my venial sins to God at home and be forgiven, but unless I do some kind of penance as well, these broken relationships are not fully healed. Going to Confession ensures I make amends for my sins. 5. I can receive solid spiritual counseling from the priest. Granted, I have once or twice been misunderstood by priests who didn’t know me and gave me useless advice. But most of the time, the priest encourages me with the scriptures and advises me on how to do God’s will better in the future. I have sometimes been blessed to have a regular spiritual director who makes Reconciliation part of our meetings. It is priceless to receive absolution from a priest who truly understands my spiritual state. 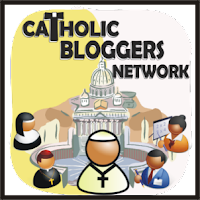 The Catechism of the Catholic Church states, “Without being strictly necessary, confession of everyday faults (venial sins) is nevertheless strongly recommended by the Church. Indeed the regular confession of our venial sins helps us form our conscience, fight against evil tendencies, let ourselves be healed by Christ and progress in the life of the Spirit. By receiving more frequently through this sacrament the gift of the Father’s mercy, we are spurred to be merciful as he is merciful” (1458). Frequent Confession is an important practice for everyone who seeks to grow closer to Christ. Share with us: What was your best or worst experience of sacramental Confession? 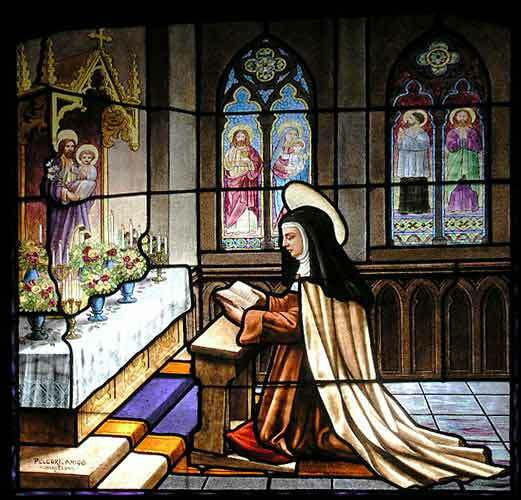 St. Teresa was determined to reach the heights of holiness. Yet at the same time she was realistic, based on her own experience and those of the nuns under her care as head of the Discalced Carmelite Order. Put these two characteristics together, and you have one of the wisest guides to the spiritual life. Let’s take a closer look at her advice. Remember the parable Jesus told about the persistent widow (Luke 18:1-8)? We must never give up praying when it seems God is not hearing us. Teresa advised her sisters to apply this lesson to growth in prayer. It’s easy to get discouraged in prayer. Seeing no measurable growth in intimacy with God, we might be tempted to give up. We might wish to say along with the doubters in the end times, “Where is this coming He promised?” (2 Peter 3:4). Don’t! Peter assures us, “The Lord is not slow about His promise as some count slowness…” (2 Peter 3:9). God always keeps His promises. If it seems like He is taking a long time, ask yourself what He wants to teach you in this time of waiting. Often He makes us wait because we are proud. He does not want us to think that we have come to Him through our own efforts. He wants us to know for certain that everything is grace. Or, He might be teaching us to trust Him more. Do you have deep-seated fears you haven’t dealt with? Are you easily disturbed or frightened? Abandon yourself completely to God and He will give Himself completely to you. You are more sinful than you think. Sorry, but that’s true of all of us. I don’t say this to discourage you. Quite the opposite. We should not be frustrated when it takes us longer to overcome bad habits than we imagined it would. We should not be surprised that it’s difficult to be loving. We are fallen human beings. Some canonized saints experienced dramatic second conversions. In one instant, their lives were changed. But for most of us, spiritual growth is a slow process. We might have sudden growth spurts, but in between it can seem like we’re getting nowhere. Most of us will probably “die on the way,” rather than reach the waters of divine union. Even that should not disturb us. If we are still striving to love God with our whole heart, then we are in good stead with Him. We should not lower our standards, but we must understand that God sees success differently than we do. Otherwise we may be tempted to despair. Are you doing God’s will–or at least trying to? That’s what He requires. Making you a saint is His business. Sudden death or incapacitation can’t defeat us, because it can’t defeat Him. “Nothing is wanting to him who possesses God.” Or, as St. Paul puts it: “He who did not spare his own Son but gave Him up for us all, will He not also give us all things with Him?” (Romans 8:32). If you have God, you have everything. Right now. So what are you waiting for? Share with us: How has God taught you to be patient? What is the hardest thing for you to wait for? I love combining subjects for homeschool when I can. Tangrams are a great way to combine math and art, along with science, religion, or history. We haven’t worked with tangrams for a while, so I’ve decided to make today a tangram day at school. A few years ago when we did one of our first Bible-based units on the days of creation, we also read Grandfather Tang’s Story by Ann Tompert. The book uses tangrams to illustrate the fairytale a Chinese grandfather tells his granddaughter. After reading the book, we made our own tangrams of one of the six days of creation. 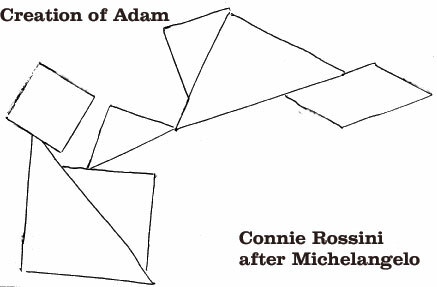 D and M made a shark and an alligator respectively, while I went all out and made a tangram version of Michelangelo’s Creation of Adam, which we had studied. For today, we’re each going to choose a beautiful but simple work of art. First we will look at the shapes in the picture and make a chalk sketch on construction paper, reducing the picture to its shapes. This will help us look at objects with an artist’s eye. Then we will try to recreate the shapes as closely as possible, using the pieces of a tangram. Next we will draw the result on plain white paper. After we have drawn the tangram picture, we will color it by filling in each shape with a solid color. I am not sure yet what media we will use for the coloring. I will probably let the boys choose what they think will work best for their individual pictures. I will post the results on Facebook over the next several days, so make sure you are following me there, if you want to see our creations. The Tangram Book by Jerry Slocum, et. al., is geared towards older students (middle grades and up). It contains over 2000 tangram puzzles, plus a history of tangrams. Story Puzzles: Tales in the Tangram Tradition uses slightly different shapes (including half-circles) to illustrate folk and fairy tales. It is meant as a guide for a teacher to use with a felt board or other story board. Warlord’s Puzzle by Virginia Pilegard features a boy who shows his father how to reassemble a broken tile for a warlord. Pilegard has other books in the series dealing with different math concepts. They’re all worth a read. Here is a pattern to get you started. I would love to see what you and your children create! If you post your tangrams to Facebook, tag me on it and I will share them. P.S. If you missed my post on Poetic Math, you might want to go back and read that too. 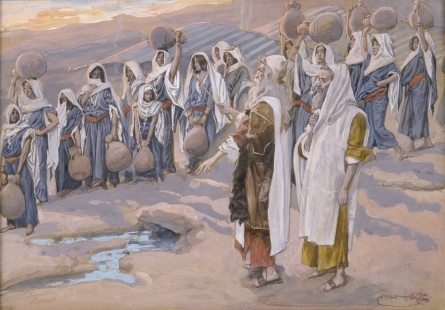 Moses Smites the Rock in the Desert by Tissot (photo credit: Wikimedia Commons). “If today you hear God’s voice, harden not your hearts.” This Psalm response from Sunday’s Mass is familiar to those who pray the Liturgy of the Hours (Divine Office). Taken from Psalm 95, it is part of the Invitatory prayed every morning. This verse helps me immensely in my spiritual life. It reminds me always to be open to God’s grace. 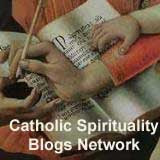 I get easily overwhelmed when I think about all the obligations of the spiritual life. I need to pray every day and pray well. I must be detached from everything except God. I must answer my children with love, work diligently, be considerate of my husband’s needs, refrain from gossip, be humble… Yikes! The phlegmatic part of me can’t handle all that at once. Over the last year, God has shown me how to reduce these obligations to just one: trust. I must believe in and accept His plan for me at every moment. Another way of saying this is I must have an open heart. I don’t need to think about all the things God is asking me to do throughout the day. I only need to recognize what He is asking me to do at this moment. Grace exists in the present moment. It is available when we need it, not before. What is God’s will right now? I must listen for God’s voice in the present. Then I must open my heart to respond to it. Today it has helped me to repeat this verse aloud in moments of temptation. If today you hear God’s voice, harden not your heart. I take a moment before answering a child who is making demands at an inopportune time. Can I be open to grace, to the Holy Spirit? Can I be patient, loving, and selfless, even when I am tired? Again I am reminded of Martha, who was worried about many things. That is not God’s will for us. He does not want us to be overwhelmed with obligations. Only one thing is needed. That one thing is what Fr. Thomas Dubay would call “a deep love communion.” God speaks to my heart. I listen, I accept, and I respond. In doing so, I make my life a prayer. At the risk of being controversial (something I try to avoid here), it strikes me that Pope Francis has been saying the same thing lately in other words. He has said that our focus should be on Jesus, not on rules and regulations. Rules can cause despair. They can close hearts. In contrast, Jesus knocks on the door of our hearts. “May I come in and sup with you?” He asks, knowing that we are sinners. If we open our hearts and let Him in, we can enter into His rest. We can dwell in His eternal peace. His commands are not burdensome. His commands are not ends. They are not a heavy yoke laid on our shoulders. The yoke of Jesus is light. It gives rest. His yoke is companionship with Him. Do not harden your heart towards Jesus. Receive His grace. Love Him for this moment. That is all He asks. Share with us: When is it hard for you to open your heart to grace? How do you keep from being overwhelmed by God’s many commandments? 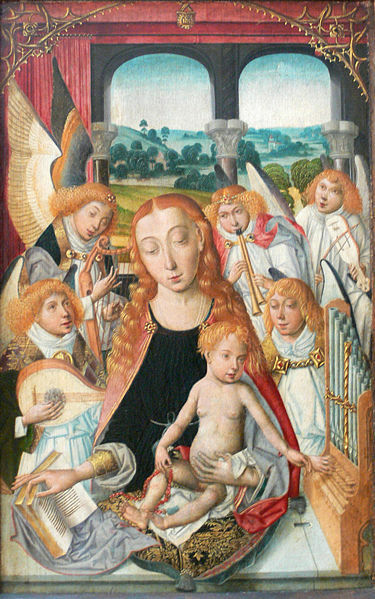 Virgin with Angels Playing Musical Instruments, artist unknown (photo credit: Wikimedia Commons). I read aloud nearly every day after lunch, and I plan to continue this until J finishes high school. Some of my favorite memories are of my dad reading aloud to the family in the evenings. I would not deprive my children of this for all the prestige in the world. Share with us: What is your favorite “useless ” subject? How do you make time for impractical studies? St. Therese in July 1896. Unbeknownst to anyone but herself, she was already suffering greatly from tuberculosis. (Photo credit: Wikipedia). When Therese was two months old, she almost died of enteritis. Her mother Zelie–probably already suffering from breast cancer–could not nurse her. A wet-nurse saved Therese’s life. Therese had to live five miles away from her family for thirteen months. She became attached to her nurse, whom she then had to leave behind. Louis Martin, Therese’s beloved father, declined mentally and physically soon after Therese entered Carmel. She barely saw him again. He died three years before she did. By the time she was 23, the saint had contracted tuberculosis. She hid the disease from others as long as she could. In June 1897, her doctor predicted she would not last the night. But she did. In fact, she lingered on until September 30. Her most intense physical suffering occurred after she had finished her autobiography. (Actually, her writing trailed off on the last page, as she became too weak to hold a pencil.) This explains why people who only know Therese from Story of a Soul are often unaware of how acute the suffering was. For weeks, Therese was coughing up blood several times a day. She could keep nothing down. In the end she was breathing with a small portion of one lung. She slowly suffocated. Gangrene attacked her intestines. She was sweating so profusely that the sheets were soaked. Her body was emaciated. She said she understood why non-Christians in such a state would commit suicide. At the same time, she experienced terrible spiritual darkness. All during her last illness, she was tormented by doubts of Heaven’s existence. She believed she was suffering for those who deny the reality of an afterlife. Until late summer, some of the nuns did not believe she was seriously ill. She accepted her suffering so completely, they doubted she was suffering at all. Don’t let the phrase “the Little Way” fool you into thinking Therese had a sweet and easy life. She was a strong soldier of Christ, like Joan of Arc whom she so admired. She became strong by recognizing her littleness. We are all little and weak when it comes to temptation. We are all helpless when it comes to being holy. But like St. Paul and St. Therese, it is when we are weak in ourselves that we can become strong in Christ. I pray that on this feast of St. Therese, you may be able to admit and accept your weakness, and so be able to accept your trials with joy as she did. This can only happen through supernatural grace. 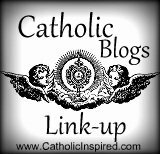 In conjunction with the book I am writing on St. Therese, have started a Pinterest Board of all things related to her life. With each picture, I include information about her life. You can follow the board here. I don’t usually have such dreams any more. But some days I feel like they’ve become my waking reality. Life as a homeschool mom can be trying. I must overcome constant temptations. One moment, three kids ask me for help at once. The next, “J” spills juice on the floor I just mopped. Then two others get in a fight, and one talks back when I discipline him. All during math class. Have you heard the story about St. John Vianney? The devil used to harass him so much it became routine. One night when he was trying to sleep, his bed was bouncing around like crazy. He peeked under the bed and saw the devil. His response? “Oh, it’s just you again.” Then the saint went to sleep. Should we fear the devil? Should we fear temptation? We can’t conquer demons on our own. They are fallen angels, much more powerful than mere humans. But we have the Holy Trinity living in our hearts. Christ conquered the devil on the cross. The devil hates it when we remind him of this. We have the power to rebuke him in Jesus’ name. In homeschool, we have been reading a swath of passages in the Golden Children’s Bible that speak about our power over the devil. In the midst of them, the disciples argue about who is the greatest. Then Jesus takes a little child and says that we must become like children in order to be great. Why is this passage placed where it is? Because humility conquers the devil. Pride turned Lucifer into Satan. Pride was the original sin. The devil can neither stand nor understand humility. He can’t do anything with it. I feel disrespected when my hard work is undone, as though I’m a slave instead of a mother. This is pride. I yell at my kids, because I think a display of “power” will make them behave. I should be humbly using the authority God gave me. I argue, because I feel attacked and become irrational. If I were humble, I would triumph over my temptations. I must open my heart to grace in these moments, acknowledging that I don’t have the strength on my own to do God’s will. I must offer Him my weakness and accept His strength in return. The Holy Spirit works silently in my heart. He doesn’t make a show. But He can slay all my dragons while I remain at peace. You might even say that He fights my demons while I sleep. Share with us: How do you fight temptation? In Exodus, Moses goes up on Mt. Sinai with his assistant Joshua, leaving Aaron in charge. On the mountain, he speaks with God “face to face” and receives the 10 Commandments. Then he descends the mountain to give the commandments to the people. What does he find? In his absence, Aaron has made them a golden calf to worship. 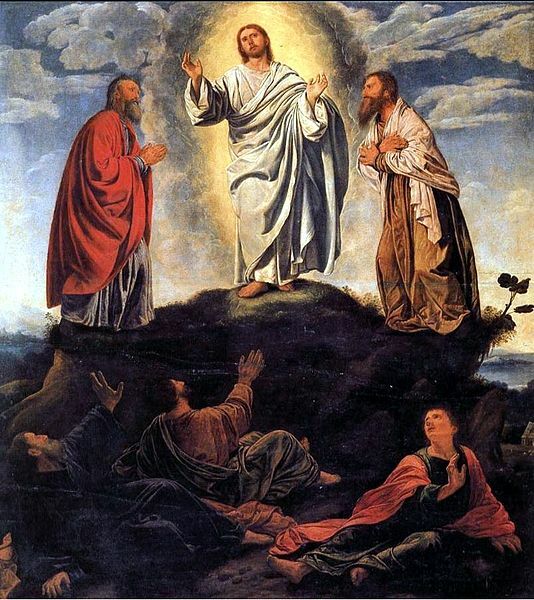 Then in Matthew’s Gospel, Jesus goes up on Mount Tabor with Peter, James, and John. He speaks face to face with Moses and Elijah. Then He descends the mountain to find that the disciples He had left behind were unable to cast a demon out of a boy who was brought to them. Both stories portray a lack of faith. The Israelites doubted the true God and made an idol, a false god they hoped was stronger than the One that had not let Moses come back safely to them. The disciples, apparently afraid of the power a demon displayed, doubted that they had the power to cast it out. Literary masters or inspired disciples? In your study of the Bible, you will find many parallels like this. It’s as though the Gospel writers were literary masters who had studied the Old Testament thoroughly and wove new stories to echo the old. Only, John was a fisherman. Matthew was a tax collector. We don’t know Mark’s profession, but he was an early disciple of Jesus, and later traveled with both Peter and Paul. He was presumably from a humble background. Only Luke, a physician, is known to have been an educated man. These men did not create their own stories. They wrote the Gospel as they had witnessed it or learned it from others. Yes, each told the Gospel in his own way, because the holy Spirit works through our natural gifts. But before they wrote, their eyes were opened like the men on the road to Emmaus. They were able to see Christ throughout the Old Testament. God Himself was the artist who wove history together in such a way that everything points towards Christ. 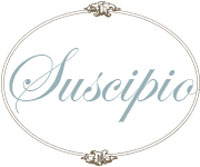 How blessed we are to have Sacred Scripture!